In this episode we add collision detection. 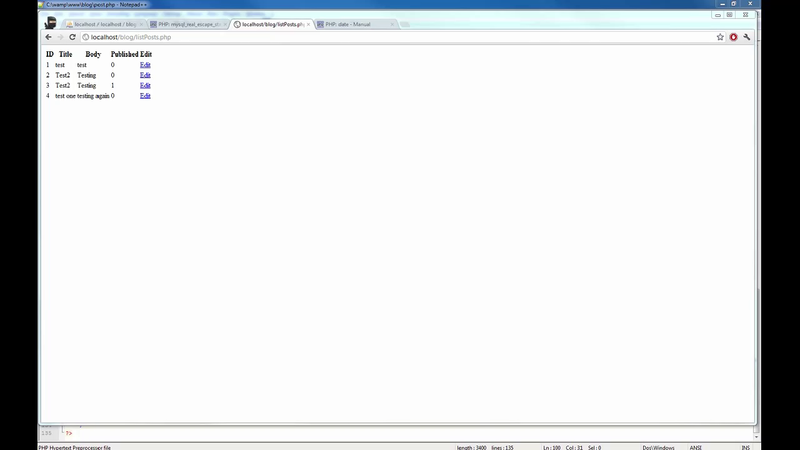 That takes quite a bit longer than we expected, but eventually we get it working. After that we add a lose condition and stop the game to inform the player that they have lost. Some of our side discussions cover Monty Python which moves into generic movie criticism. Later we talk about some video games, specifically rogue-likes. However, most of the time we spend talking about what we're working on. This episode we start adding to the update loop. 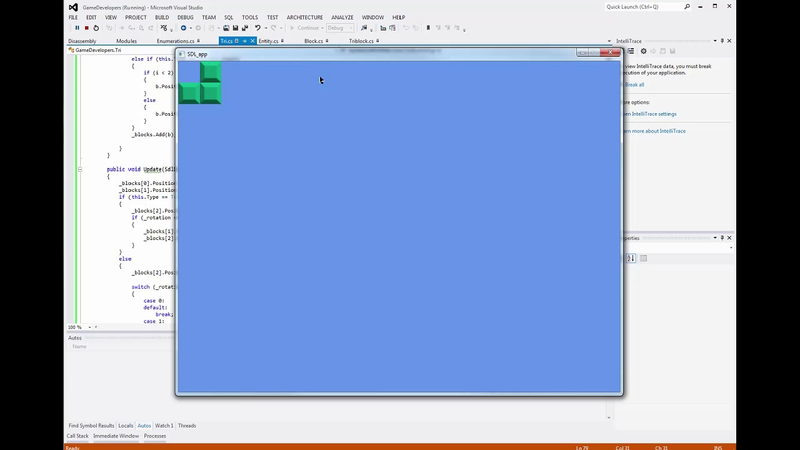 We add the falling blocks part of our falling blocks game, we also add new block spawning and randomization. Finally, we make a play area and use math to keep the blocks inside that area. As our discussion strays we discuss some minor spoilers to the Avengers and Dark Knight Rises. 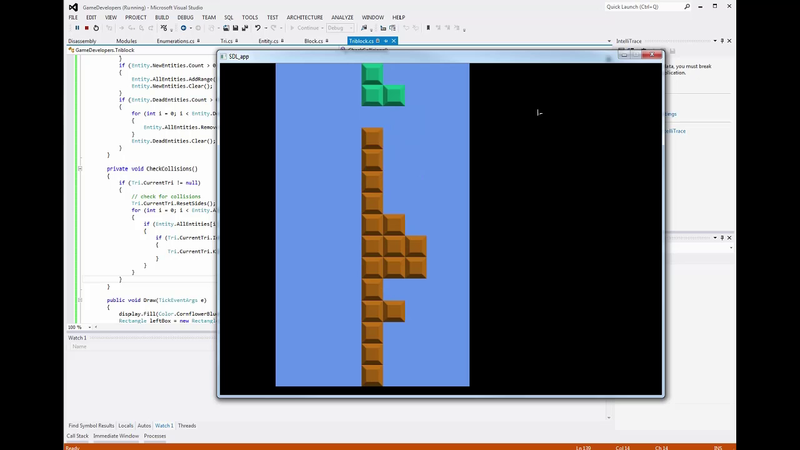 This episode we start making a game about falling blocks using the SDL. Specifically, we use SDL.NET and C#. 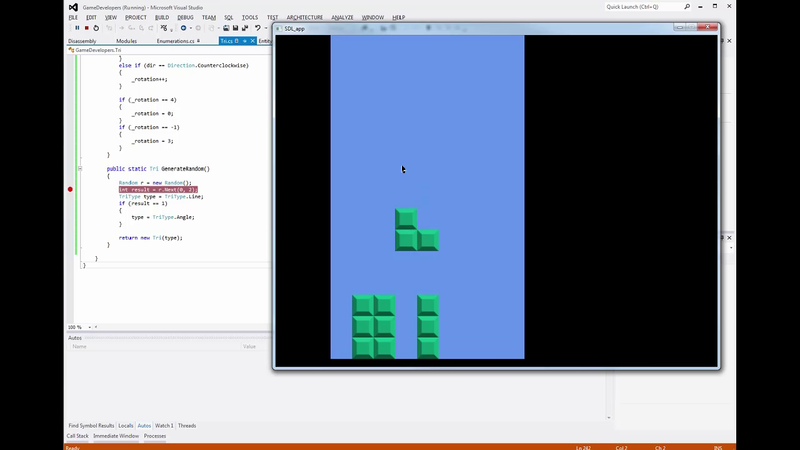 This series should get you going if you want to learn the basics of SDL game development. We mostly stay on topic as we go through the fist steps in initializing the environment, creating an element, drawing that element to the screen, and handle keyboard input to move the element around. This episode we wrap up our simple PHP based blog. We make it possible to edit posts, then we add a front page. We talk about adding comments, but decide that will be left as an exercise to the reader. Off topic, we talk about mobile gaming: phones vs. stand alone handhelds, including discussion on virtual joysticks and pokemon. We talk some about math and its usefulness later along in life. Then, eventually, we start talk about programming languages again going from assembly and how computers think to where to start when learning to program. In this episode we write up the post class and an addPost page for creating and editing posts on the blog. We also do some very manual debugging. Weeee. In other discussions, we cover Ivy Bridge and multi display setups, along with monitors' aspect ratio. We talk some about the End Of The World including some of the crazier theories we've heard. Then we get into an argument about older first person shooters, and talk about how games have changed over the years. Oh, and beards and baldness.